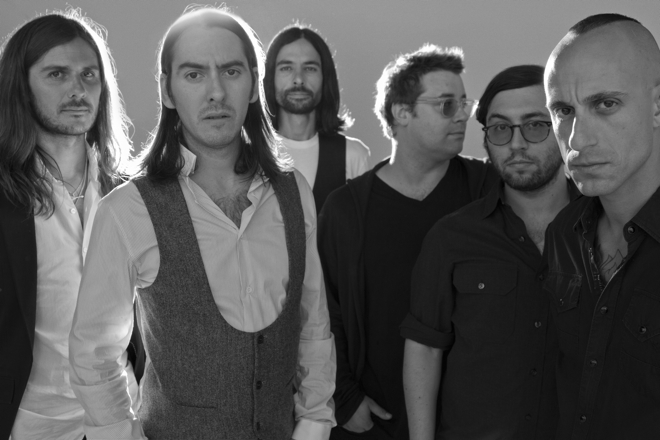 Dhani Harrison is trying to live in the moment. “I’m all about trying to reduce my level of ADD,” Harrison said to Wired.com by phone recently. That’s easier said than done. On Tuesday, the technopathic Harrison’s collective thenewno2 released a self-titled EP (streaming at left) on his own label HOT Records Ltd. The band also has a full-length album, due in February, that sonically explores the internet age’s manic fear of missing out. Harrison’s also weighed down by his participation in, and subsequent promotion of, Martin Scorsese’s poignant four-hour documentary George Harrison: Living in the Material World , arriving Oct. 5 and 6 in two parts on HBO, and his mother Olivia Harrison’s companion photo book of the same name also released Tuesday, both of which mark the 10-year anniversary of the late, great Beatle’s passing. If that wasn’t enough, Harrison’s also been hard at work on a 360-degree photographic iPad and iPhone app mapping his father’s massive guitar collection to each axe’s history for Harrison and Beatles geeks and scholars. It’s no wonder Harrison’s attention is divided, but these pursuits do not look like the work of a mind-wiped distraction drone looking for some headspace. Rather, they paint the talented Harrison as a man with a revolving band — which is inspired by Patrick McGoohan’s timeless spy-fi The Prisoner — who seems quite nicely in tune with his light-speed time. Inspired by cross-genre collaboration standouts like DJ Shadow, James Lavelle’s Unkle, Massive Attack and the beat junkies at the UK label Ninja Tune, Harrison’s gang is similarly inclined to pound out pop-hop calibrated to the still-new century’s thirst for creative mashups. Thenewno2’s self-titled second EP injects digital noise and street slang into otherwise mournful ballads like “Wide Awake” and “Live a Lie,” featuring siren Regina Spektor. Meanwhile, the scathing satire “Dear Mr. President” packs in serious scatter raps from Wu-Tang Clan mastermind RZA and Clan affiliates Crisis and Sir Eyes. There’s also a “Dear Mr. President” remix spliced and diced by Harrison’s electro offshoot pHd. Over and under it all, Harrison’s distinctive vocals, searing guitar and operational instincts play the scene like a savvy turntablist. Between Martin Scorsese's epic biopic, Olivia Harrison's book and his forthcoming iPhone app showing off the cultural history of father George's guitar arsenal, Dhani Harrison is busy before he even gets to thenewno2. If Harrison is making what he wants to hear, he’s also writing what he knows. His band’s future full-length, which like the new EP also features cover design from street artist Ben Eine, is called The Fear of Missing Out . Taken together with Liam Finn’s recently-released FOMO , both albums examine the new century’s addiction to information overload. Our tremendous connectivity may have exponentially attuned our perniciously viral “fear of missing out” on whatever happens when we close our eyes, but our minds may suffer in the end, said Harrison. Like DJ Shadow, who confided similar fears to Wired.com last week, Harrison’s a tech-friendly artist growing concerned that we might be a bit too plugged in, when we could benefit from more disconnection. 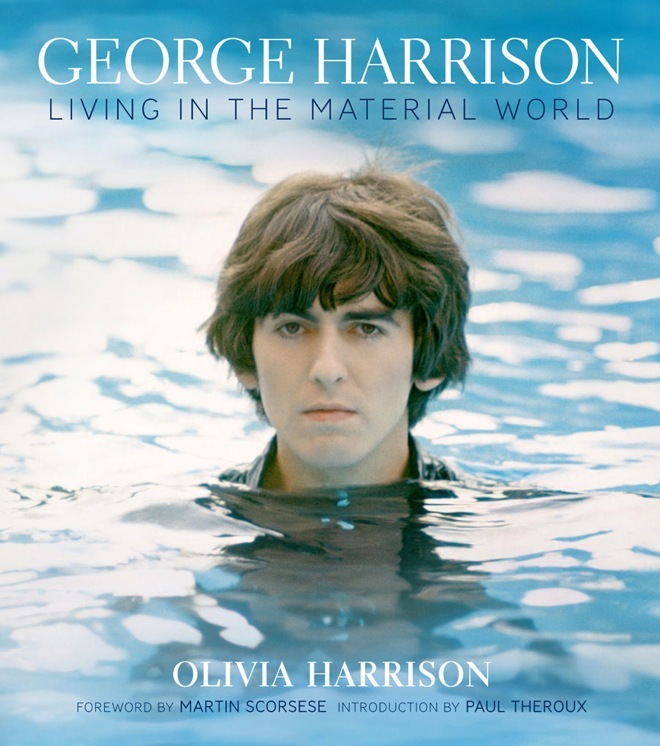 Luckily, viewers of Scorsese’s documentary George Harrison: Living in the Material World won’t have to deal with commercials when the exhaustive biopic airs in October on HBO and hits Blu-ray across the pond. But Harrison thinks they might want to take a night off after watching his father’s expansive life unfurl onscreen, from his humble Liverpool origin and global crossover with the Beatles to his late battles with both a murderous psychotic and, eventually, lung cancer. What smartphone addicts and Beatles collectors might want to watch out for is the iPhone and iPad app that Harrison is building, which photographically and intertextually reproduces his father’s entire guitar collection. The app, made with the help of award-winning director Steven Sebring’s Bandwidth Publishing, launches in October in conjunction with the Grammy Museum’s multimedia retrospective of George Harrison: Living in the Material World . The app photographically recreates each of the elder Harrison’s guitars in 360 degrees, employing Apple’s embedded accelerometers to give users the ability to view the instruments from all angles, as well as learn facts like each guitar’s physical details, where it was acquired, and on what songs it was used.